When we started to work on Wave Engine 2.0 we wanted to implement a new and simplified convert process. So we designed a new project template and folders structure for the Wave engine projects (you can learn more details on this article). The first problem was that this new project template was not possible to implement using the main C# IDE template languages. The C# IDEs have limited template languages and changes with every new IDE version so it was expensive to maintain. 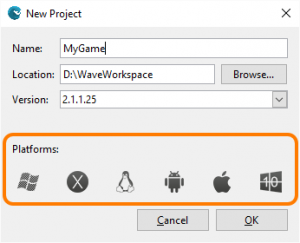 Finally, in Wave Engine 2.0 we decided to remove C# IDE templates and implement a unique way to create Wave Engine projects through Wave’s Visual Editor. 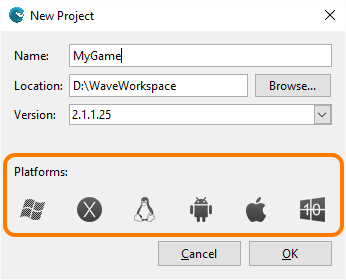 When you add a new target platform in Wave Engine 2.1 a platform profile is added to Project Profiles and a new .sln file is added on the root project folder. Removing target profile is also allowed. 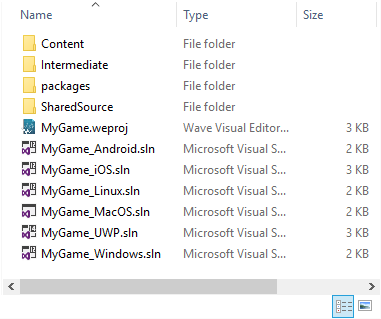 The development workflow to deploy on several mobile devices is usually very long but you can use our Wave Visual Editor development platform and your favorite C# IDE and in the final phase to convert your game to mobile platform without any problems or incompatibilities. Option 1: When you create your game from Wave Visual Editor select the target platform list to create the target profiles. Option2: But maybe when you started your game you forgot to select a target profile or maybe you want to add a new profile later then you can click on Edit-> Project Properties-> Profiles. Click on Plus icon to add a new profile under selected platform tree. You can create as many profiles by platform as you need. 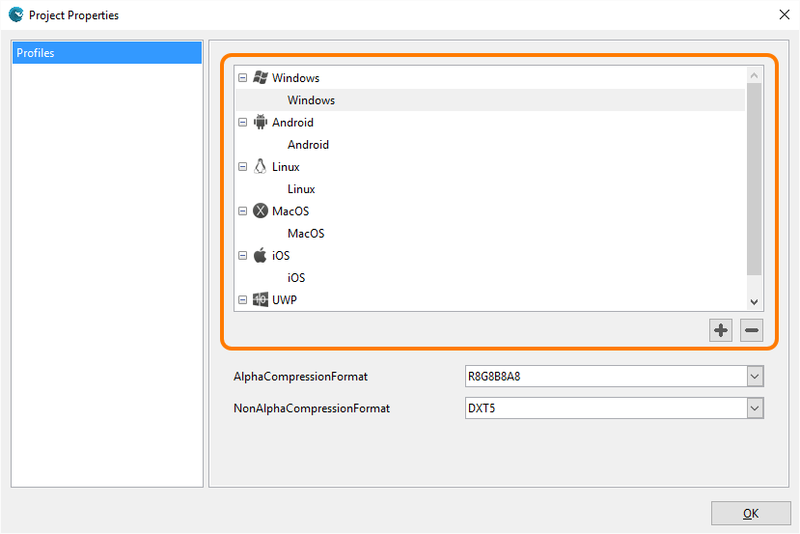 Finally you can deploy your game on each target platform using .sln files with your C# IDE.